Bitcoin is surprisingly more popular than what we expected. A new study has revealed that about 71% of Americans know about Bitcoin. The study surveyed the popularity of several cryptocurrencies including Bitcoin, Ethereum, Dash, ZCash, Monero, Ripple, Stellar, Cardano, EOS, NEO, Dogecoin, NEM, Lisk, and Storjcoin X. While 80% Americans are aware of cryptocurrencies in general, 49% of them said that they’ve never used them. About 36% of respondents who saw a bright future for crypto said that they would possibly use crypto instead of fiat in the coming years. However, a large majority (nearly 57%) said that they wouldn’t want to use crypto over USD. Of all the generations, millennials are the most open towards crypto but are divided in their opinion on the usage of currencies. While 48% of them prefer crypto over dollar, 50% favor dollar over crypto. With high faith in crypto, millennials are considered the most probable group of people to use crypto instead of USD. The study also shows that men are more informed about crypto than women. While almost 27% of women hadn’t even heard of crypto, only 16% men said they’re not aware of this new form of currency. While there are several cryptocurrencies in the market, Bitcoin, of course, was found to be the most well-known. About 15% of the participants agreed that they wish they had invested in BTC when it was new but now that it’s already popular, they feel it’s too late to invest in it. The second most popular currency is Ethereum with 13% subjects saying they’re aware of it. 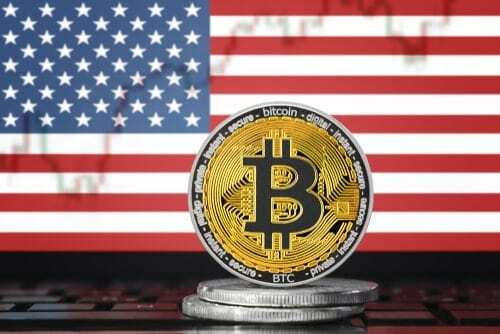 What do Americans Think About Crypto’s Future? About 34% of people in the study did not see crypto becoming a widely accepted currency in the next 10 years. This is mainly because people perceive it as “something that’s used to buy illegal things”, as reported by 25% of respondents. About 17% of people think that crypto can be used for legal work as well and 19% think crypto can be used equally for both legal as well as illegal purposes. While the study shows that crypto has become really famous, not many people have used this currency for any kind of purchases. However, even if people aren’t still aware of the exact working of crypto, this research does show a shift in paradigm.